The FORTH dictionary and compiler The Tape Interface/Screen Editor. The Graphics package. A high-resolution graphics demonstration. FORTH's most distinctive feature is its extensibility. The basic unit is the "word' - the programmer uses existing words to define his own which can then be used in further definitions. Words can be entered directly at the keyboard, allowing sections of a program under development to be tested individually. FORTH is a compiled language so programs run very fast (typically 5 times faster than BASIC). In addition to a comprehensive set of arithmetic and stack operators, control transfer words, and defining words, ATOM FORTH includes the more advanced features for defining the actions of defining words themselves. This opens the door to "meta-FORTH' and user-defined FORTH-based languages. The Tape Interface and Screen Editor add words to the dictionary for manipulating files of source programs independently of ATOM BASIC. 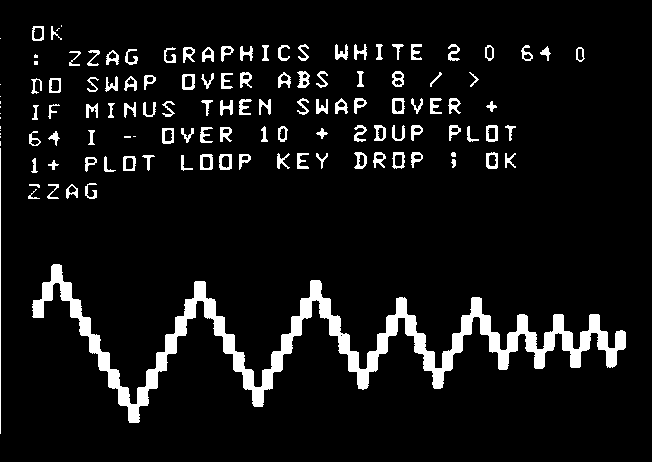 The Graphics include words for plotting black, white, and inverted points and lines in four modes. The demonstration program illustrates the use of recursion to draw a complex design with high-resolution graphics. 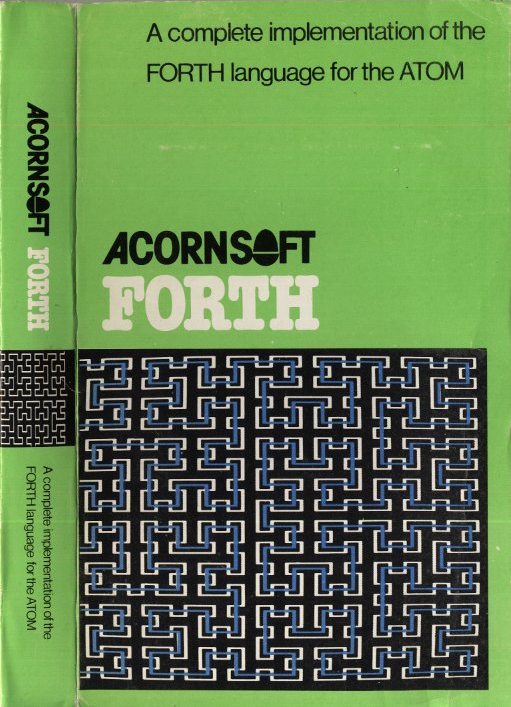 For instructions on using ATOM FORTH refer to the accompanying manual "FORTH Theory and Practice' which gives a thorough introduction to FORTH programming and many practical examples.